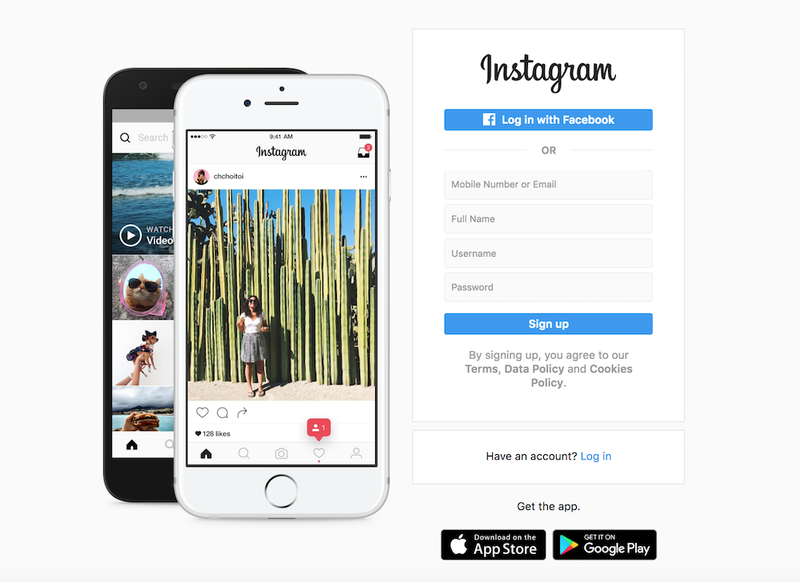 A screenshot of the Instagram website login page. Instagram is a free photo- and video-sharing social network, owned by Facebook. Here's how to use Instagram to share your photos and captions with the Shortcake Albums design team. Navigate to the @shortcakealbums account. Click Follow to follow our account. We will then follow-back your Instagram account. If your account is private, you will need to accept the follow back request from @shortcakealbums that you will receive, so that your designer can view your photos and text. Repeat the steps above as many times as you need to, in order to share all your Instagram accounts with your album designer. When you're done, please send us an email at hello@shortcakeinc.com to let us know that you have finished connecting your Instagram accounts. That way we will know to look for your account, and we can let you know if there were any problems.